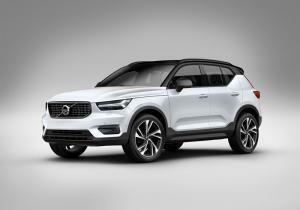 The new Volvo XC40 has been officially unveiled and is available to order now ahead of first deliveries early in 2018, with prices starting from £27,905. 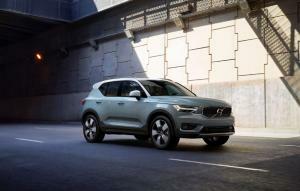 Although borrowing some styling and technology elements from its larger XC60 and XC90 models, Volvo say they designed the new XC40 more as a ‘cousin’ of the existing cars. 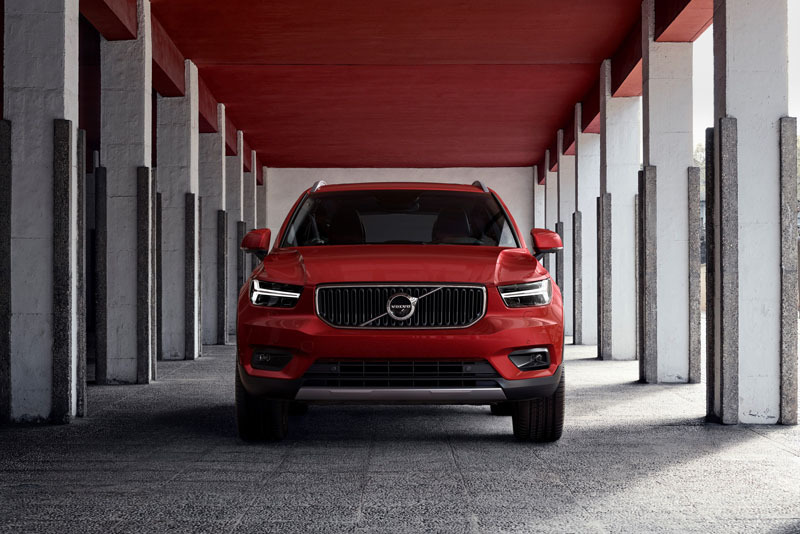 It’s the first model in the company’s line-up to use a new Compact Modular Architecture (CMA), but Volvo’s designers are particularly proud of the way they’ve created new, practical spaces within the interior that are more suited to modern lifestyles. 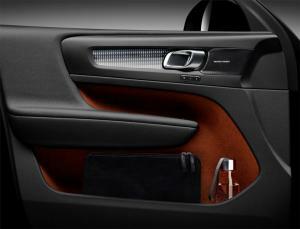 For example, relocating the bass speakers from the front doors to behind the dashboard creates more practical in-door storage, large enough even for a laptop, the company claims. 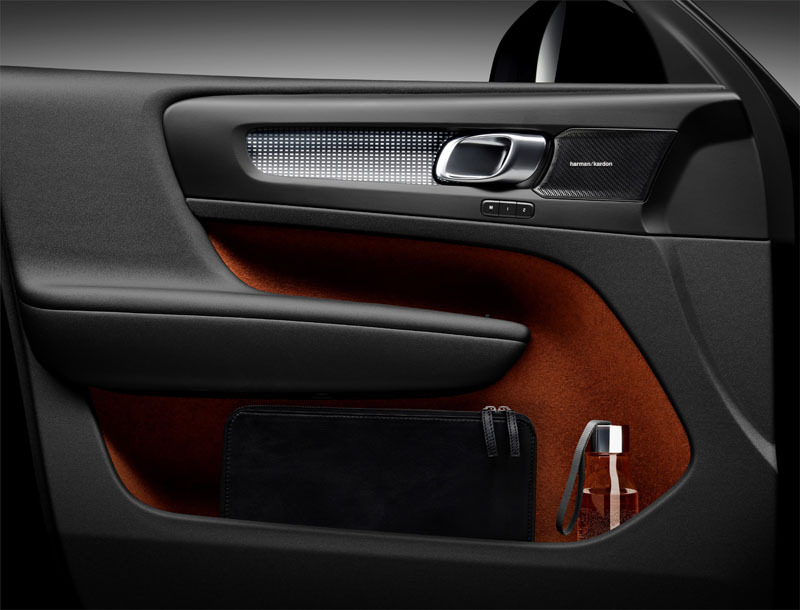 This thinking continues with extra large storage areas within the centre console, additional space under the seats, a special space for mobile phones complete with wireless charging, plus a removable waste bin and fold-out storage hooks. 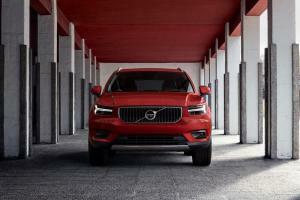 Continuing this approach, the company also launched their new Care by Volvo package. 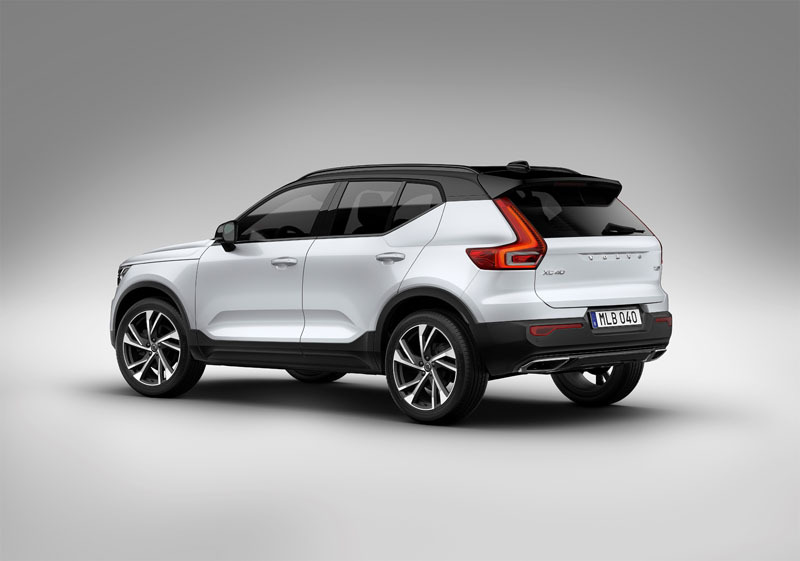 Similar to the packages we are used to for mobile phones, Care by Volvo carries a monthly payment which in return provides car rental, regular maintenance, insurance, roadside assistance and a range of concierge services that include service pick-up and even refuelling in some markets. 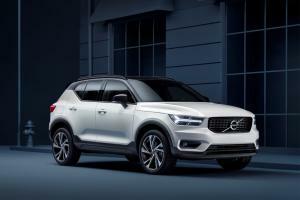 Care by Volvo will initially be rolled out in Sweden, the UK, Germany, Spain, Italy, Norway, Poland and the United States, although to start with only UK customers within the M25 will be eligible. The new XC40 is the first Volvo to benefit from this package, which also entitles customers to a new car every 24 months. 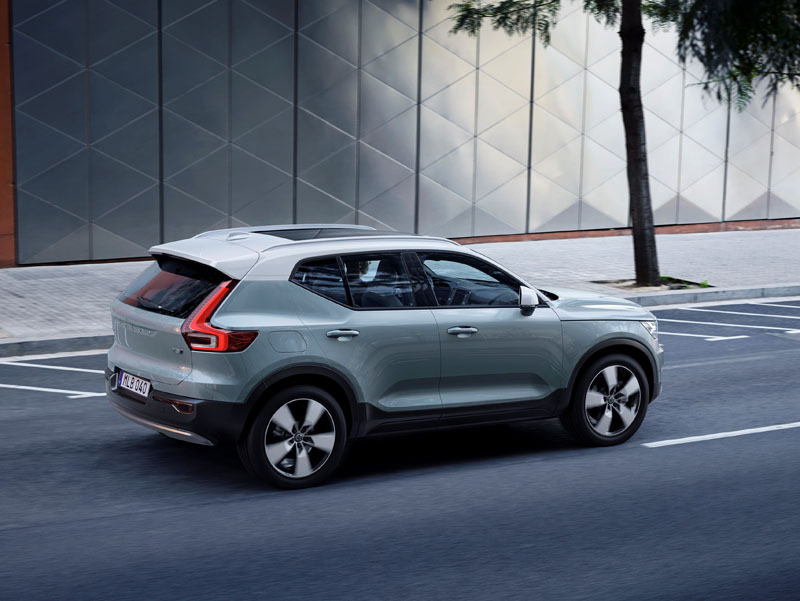 The service costs £629 a month although is currently only offered on the T5 and D4 Momentum variants, with other models expected to follow later. In terms of the car itself, the XC40 will launch with three petrol and two diesel engines, all of which are 2.0-litre four-cylinder units. 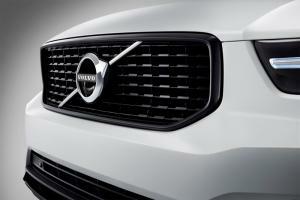 These start with the 156hp T3, before climbing to the 190hp T4 and 247hp T5. 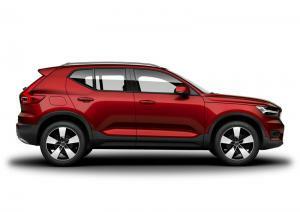 Diesel models, meanwhile, include the 150hp D3 and 190hp D4. The T3 is front-wheel-drive only, while the D3 is available either as front- or all-wheel drive. The T4, T5 and D4 feature all-wheel-drive and automatic transmission as standard. 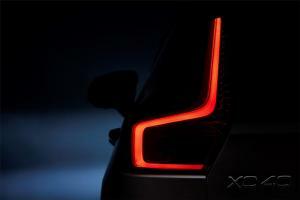 Other drive-trains will follow later. 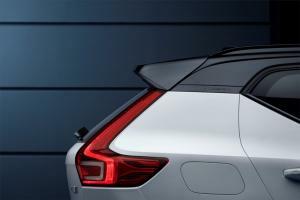 Mirroring the rest of the Volvo range, three grades will be offered – Momentum, R-Design and Inscription. Despite being the entry-level model, the Momentum is said to be the most expressive in terms of its design, with a contrasting roof and door mirrors plus the option of white and black alloy wheels. 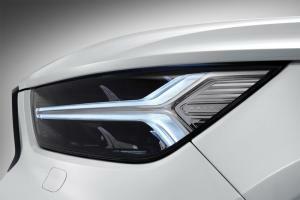 R-Design is the sportier trim grade with a gloss black front grille and lower bumper sections, black roof and door mirrors, dual integrated exhaust tail-pipes, diamond cut 18-inch matt black alloy wheels, sports suspension, leather and nubuck upholstery, sports-style seats and aluminium dashboard inlays. 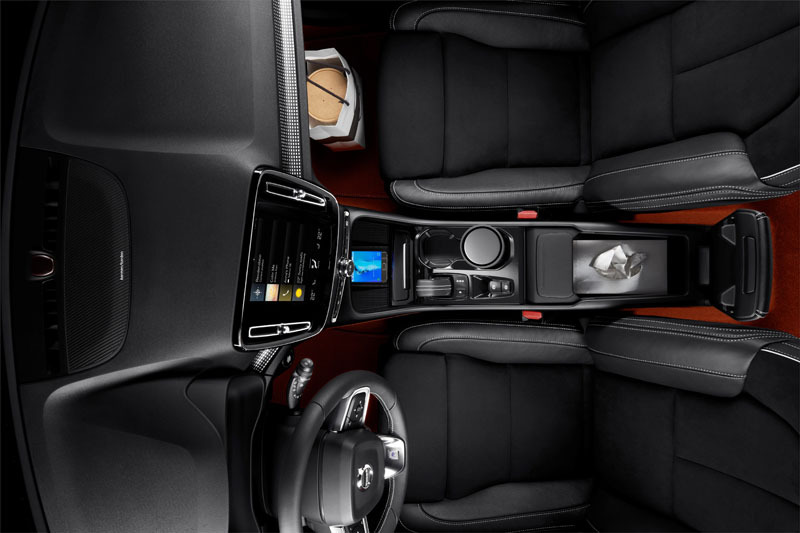 The Inscription model focuses on luxury with full leather upholstery, driftwood inlays, chrome exterior highlights, crystal gear lever, power tailgate, and electric driver’s seat. 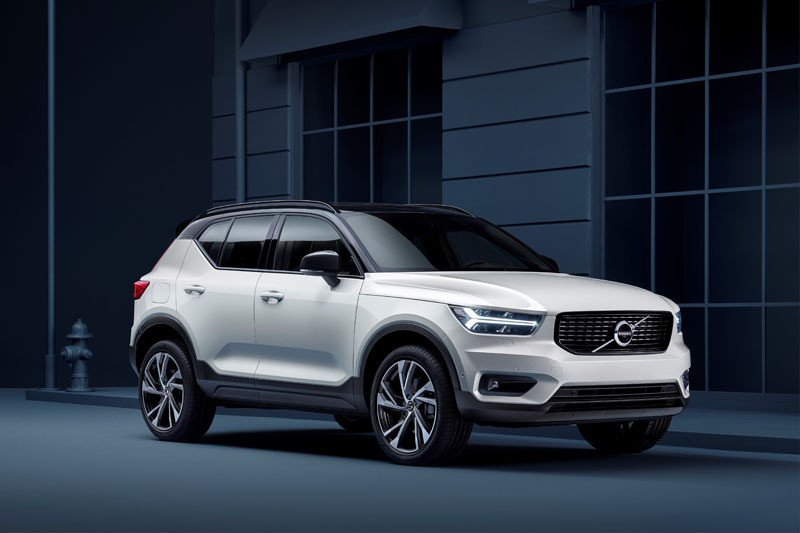 All models boast generous equipment levels with a 9-inch touch-screen infotainment system, satnav with lifetime map updates and real-time traffic information, dual-zone climate control, 12.3-inch cluster display, LED headlights, and Volvo’s On Call smartphone app. A Pro pack brings additional features to each grade, such as electric heated seats, a heated windscreen, and adaptive headlights for the Momentum Pro, 20-inch alloy wheels for R-Design Pro, and 19-inch wheels plus an electric passenger seat for Inscription Pro. The optional Xenium Pack goes further with a powered tilt/slide sunroof, 360-degree parking camera and Park Assist Pilot. 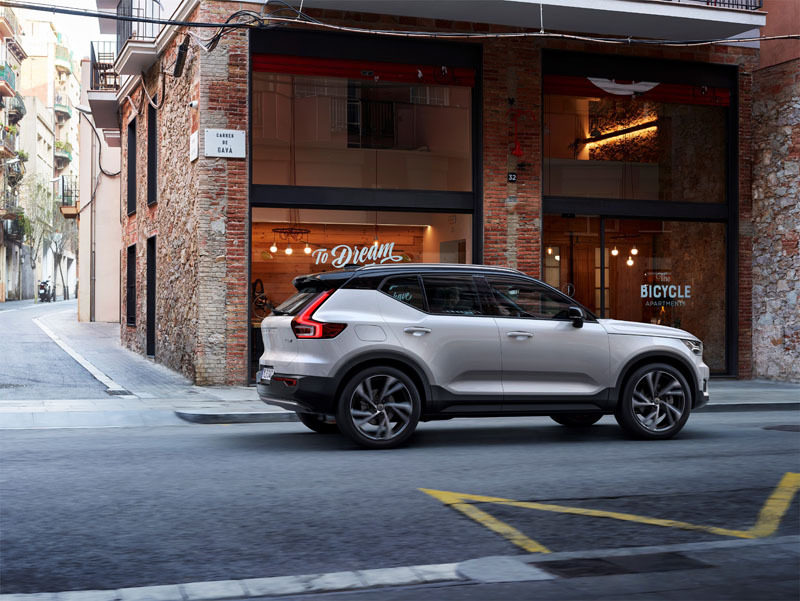 Volvo’s City Safety, offering automatic emergency braking with cyclist, pedestrian and large animal detection, is fitted as standard to all models, as is Oncoming Lane Mitigation, while the semi-autonomous Pilot Assist can be added at extra cost. 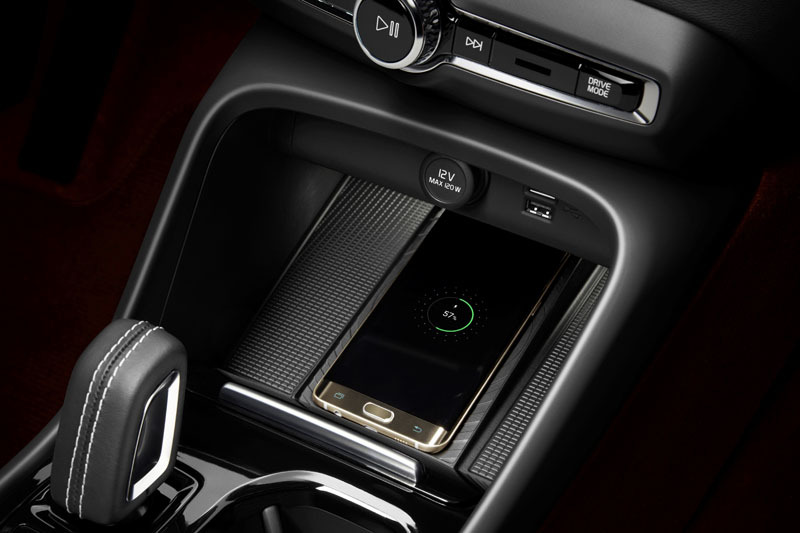 Other goodies include wireless phone charging, which includes Android Auto and Apple CarPlay, and a Harmon Kardon 13-speaker 1,200 Watt sound system. 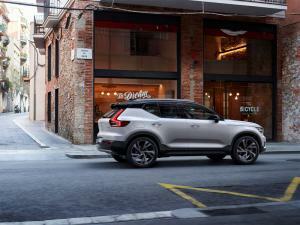 The new Volvo XC40 is available to order now, with first deliveries expected in early 2018. 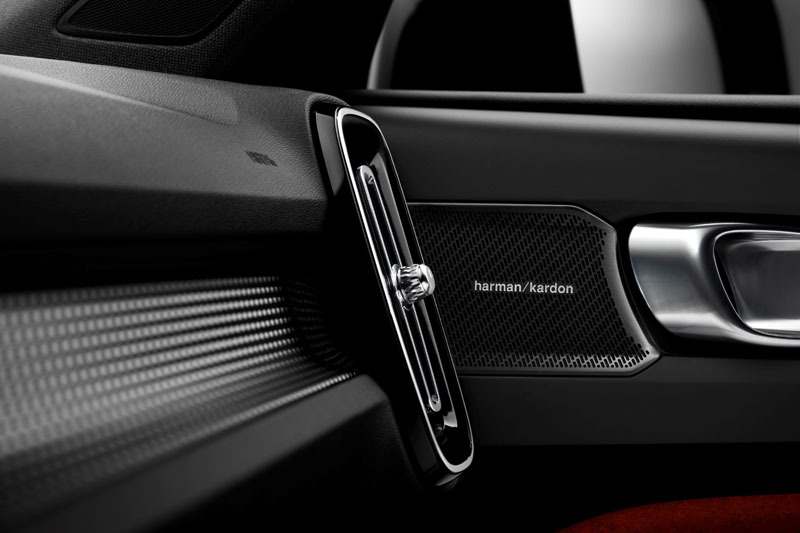 The first models to arrive will be T5 and D4 First Editions – based on the R-Design Pro grade, they include the Xenium pack, Pilot Assist, power tailgate with hands-free operation, heated rear seats, wireless phone charging and Harmon Kardon sound system.